The Vic Firth Charlie Benante drumstick, model SBEN, is a rock shaft and tip with a special taper for great feel and durability. With Vic Grip for a slip resistant grip. 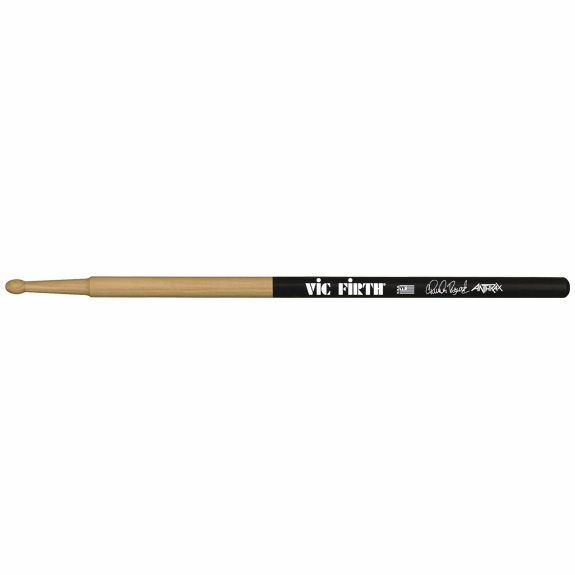 Length = 16 5/8" Diameter = .625"
The Vic Firth Charlie Benante drumstick, model SBEN, is a rock shaft and tip with a special taper for great feel and durability. With Vic Grip for a slip resistant grip. Vic Firth's NEW Charlie Benante Signature Stick! Anthrax drummer Charlie Benante explains his thoughts behind the design of his new Vic Firth signature drumsticks.